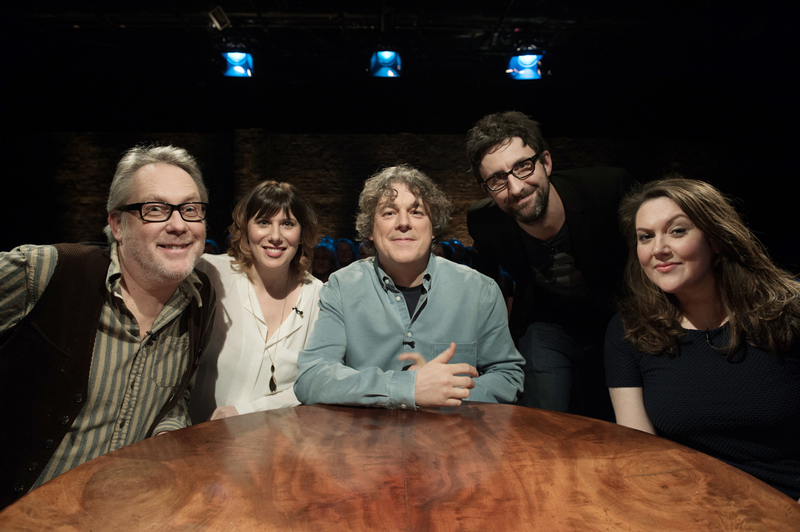 The forthcoming fourth series of improvised chat show Alan Davies: As Yet Untitled will feature a bevy of TVO related artists, we can reveal. The show – which airs on freeview channel Dave – features the much loved stand-up comic, QI regular and Jonathan Creek star talking about… well just about anything goes, really. Alan is pre-armed with an interesting fact about each of his guests and after that the discussion could go anywhere, and quite often does. 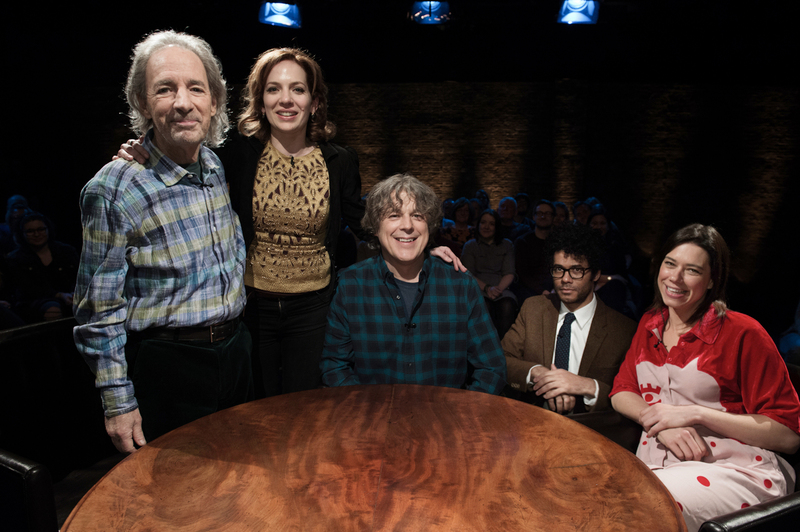 Across the ten episodes will be six people we consider part of The Velvet Onion family, including a near full-house in the third episode, as seen above – as Alan is joined by rising standup star Lou Sanders and IT Crowd veterans Katherine Parkinson and Richard Ayoade, plus the legendary Harry Shearer of Spinal Tap and The Simpsons fame. 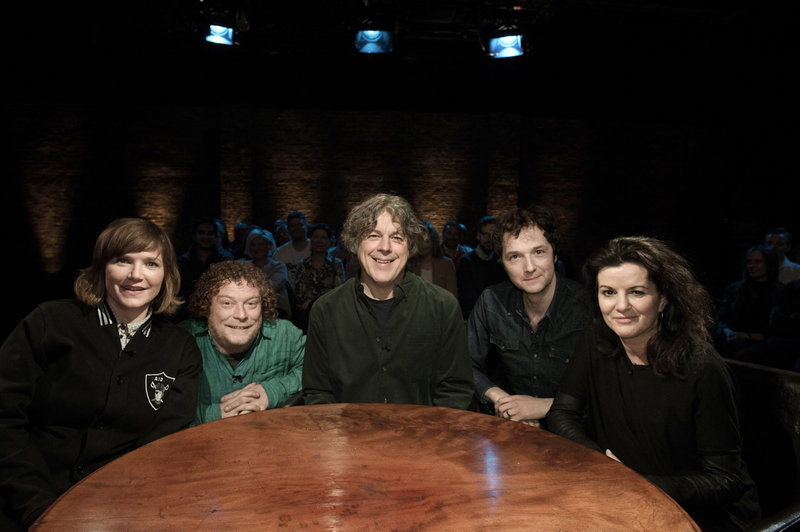 Also set to appear in a later episodes is the national treasure that is Jessica Hynes, alongside one of our favourite people: Chris Addison. The following week sees two more TVO regulars crop up in the form of Katy Wix and the man behind Vic Reeves: Jim Moir. And there’s lots of other great names and people we like a lot spread across the run, including the likes of Alexei Sayle, Sara Pascoe, Eddie Izzard, and Brian Pern guest stars Al Murray and Kathy Burke to name but a few. Exciting stuff, and while we wait, you can see a gallery of TVO stars featuring in these new episodes below. Since As Yet Untitled began in 2014, it has featured dozens of famous faces from the world of British comedy – and occasionally further afield, too. Previous guests have included the Onion flavoured likes of Noel Fielding, Jessica Hynes, Bob Mortimer, Kevin Eldon, Sharon Horgan, Matt Lucas, Sarah Kendall, Aisling Bea, Jim Moir, Reece Shearsmith, Diane Morgan, Steve Pemberton and Lucy Montgomery, and if you’ve missed any of these appearances, all is not lost! Several lengthy clips from past series are also available now on the Dave website, alongside full episodes in the days and weeks immediately after their frequent repeats, so check your listings and keep revisiting that page for more. As a cheeky bonus, here’s a second gallery of past highlights to see who you should be looking out for!